A little over a year after Bill Gates and Warren Buffett began hatching a plan over dinner to persuade America’s wealthiest people to give most of their fortunes to charity, more than three-dozen individuals and families have agreed to take part, campaign organizers announced Wednesday, August 4, 2010. In letters on the givingpledge.org website, the 40 billionaires explain what motivated them to follow in the footsteps of Gates and Buffett. The philanthropic billionaires are considering things far beyond their own families. They are thinking about all the people and families in the world as ONE. “Future generations”, “Making the world a better place for generations to come”, “Dedicating to improving education” are the words that we hear the most from them. $600 billion is a powerful number. We believe it really could make meaningful changes and make the world a better place for our future generations. The Giving Pledge is specifically focused on billionaires “to give to charities or organizations. However, as Philip Oxhorn, an expert in international development at McGill University pointed out: we want more money as more commitment to making the world better. However, unorganized or duplicated efforts could block the success of philanthropic efforts. We don’t want the money to be wasted or counterproductive. Young generations are the HOPE of the sustainable development of our society. As we are entering the new era of philanthropy, how to educate them to live, work, love and serve as interdependent parts of the world? How to guide their spiritual life? These tasks need us to work together. Collaboration and co-ordination with each other is the only way to be successful. As supporters of Warren Buffet’s plan, our foundation is committed to giving, caring and sharing. In addition, we continue to promote world peace for future generations. From the above extracts of the major religion classics, we can clearly see that all major religions mentioned the pearl as the message of peace. We sincerely hope that we can use Pearl Bible as a medium to enhance the communication and understanding between various ethnic groups. We believe that with our innovative design of the Pearl Bible, the spiritual guidance of thousand years has a modern feeling that can speak to younger generations. Through the Pearl Bible, young people will realize the real meaning and intention of life and the similarities between all of us. The Pearl Bible is not only of sacred spiritual significance, but, as pearls must grow in clean and pollution-free water, it is more of a reminder to people to care for our survival environment. It is an initiative to protect our water resources and the climate. The proceeds raised by the Pearl Bible can contribute to charities in a significant way. In terms of the accumulation of wealth on earth, at the moment of the separation of soul and body, everything disappears. The wealth on earth may no longer exist. 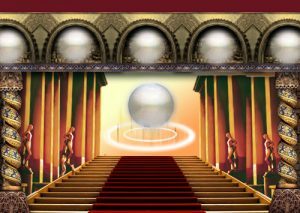 All religions teach people that “Possession of real wealth is in heaven,” What is the wealth of the eternal heaven? According to many religions, the pearl is the answer. We hope each of the 1.4 billion Christian followers in the world will own a Pearl Bible, especially the younger generation to be attracted to the Pearl Bible and enlightened by the peace and loving messages in it. Together we can make a difference, in many lives. We welcome you to join us in the Pearl Bible Mission. If you are a philanthropist, please contact us. We can work on the Pearl Bible together in many ways. In addition, we would like to print your name on the Pearl Bibles for generations to remember. If you are a Christian organization, please contact us. Let’s introduce Pearl Bible to your audience together and we would love to donate the raised money to your organization. If you are a charity organization, please contact us. We would like to leverage the Pearl Bible to contribute to charity in a significant way. If you are an influential website, please contact us. Internet would be the perfect platform to let young generations know about Pearl Bible and join the mission to contribute to the future. If you are a big retail outlet, please contact us. 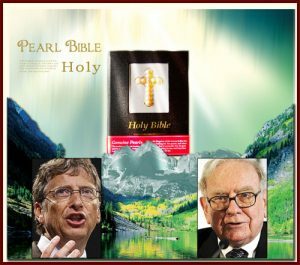 Let’s bring Pearl Bible to the mass consumer market and raise money for good deeds. If you are a media press, please contact us. Please feel free to spread the message to everywhere in the world. If you are none of the above but interested in Pearl Bible Mission, please also feel free to contact us. We believe that the more people join us, the more opportunities we get to make the world a better place as ONE for the generations to come.